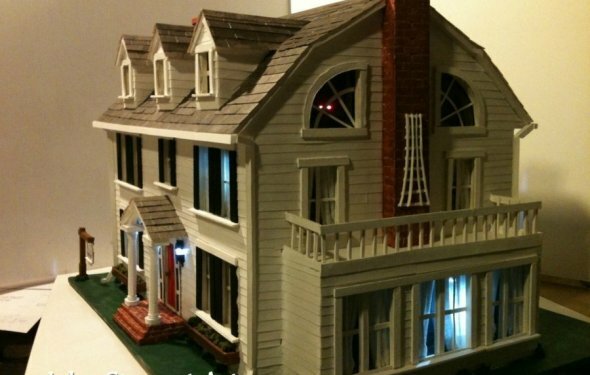 3-D Home Kit - for aspiring builders & architects or visualizing real home remodels! Build a detailed, three-dimensional scale model of your own home, addition or remodeling project the way architects do. Or -Dream up a design all your own and make a prototype that is impressive all the way around. The 3-D Home Kit provides complete materials to design plans & construct a model of almost any home - up to four stories high & 6, 200 square feet. Plan & visualize your own home project before you build to improve communications, save time & avoid costly mistakes. You'll be surprised at the professional looking results. Use the enclosed realistic illustrations to help you -includes siding, roofing, deck, brick, stone, interior walls, floors, stairs, kitchen cabinets and appliances, landscaping, even scale people, a dog and a cat!